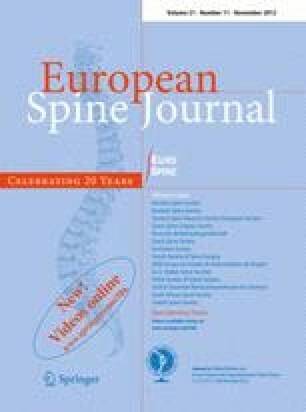 The purpose of this study was to assess the clinical and radiological outcomes of minimally invasive transforaminal lumbar interbody fusion (MI-TLIF) surgery for degenerative lumbar spine disease. A prospective analysis of 34 consecutive patients who underwent a MI-TLIF using image guidance between July 2008 and November 2010. The patient group comprised 19 males and 15 females (mean age 56), 23 of whom had undergone additional reduction of spondylolisthesis. All patients underwent post-operative CT imaging to assess pedicle screw, cage placement and fusion at 6 months. Oswestry Disability Index (ODI) scores were recorded pre-operatively and at 6-month follow up. 33/34 (97.1 %) patients showed evidence of fusion at 6 months with a mean improvement of 27 on ODI scores. The mean length of hospital stay was 4 days. The mean operative time was 173 min. 1/34 (2.9 %) suffered a pulmonary embolism and 1/34 (2.9 %) patients developed transient nerve root pain post-operatively. There were no occurrences of infection and no post-operative CSF leaks. MI-TLIF offers patients a safe and effective surgical treatment option to treat degenerative lumbar spine disease.